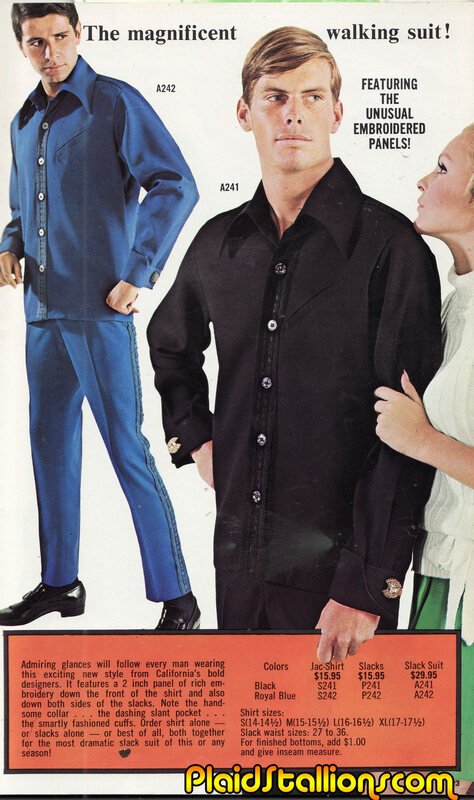 Plaid Stallions : Rambling and Reflections on '70s pop culture: The Magnificent Walking Suit! Released in 1973, "The Magnificent Walking Suit" was the least successful Marvel comics title in the company's history. They go up tiddly up up, they go down tiddly down down. With their up tiddly up up and their down tiddly down down. Those magnificent men in their fine walking suits. I'm not entirely convinced that there's an actual human being in the black walking suit. His head looks a little too much like that of a poorly painted mannequin, worn by the suit so it can walk undetected among the unsuspecting human population. Now that's how you walk in style. The Rich Luxury of ORLON!